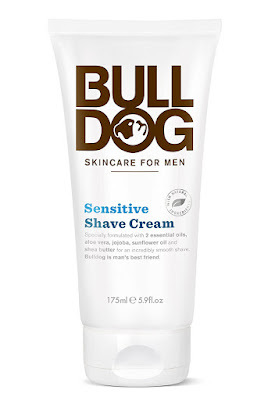 Home / SkinCare / MaleSkin - Bulldog Skincare For Men. MaleSkin - Bulldog Skincare For Men. The regularly updated Skincare Testimonial page, in depth analysis on all things skin and regularly updated product reviews to give you the insight on just what fellow skin care phonetics are talking about. MaleSkin is far more than a website, it’s a brand new way of life that u will want to be a part of. 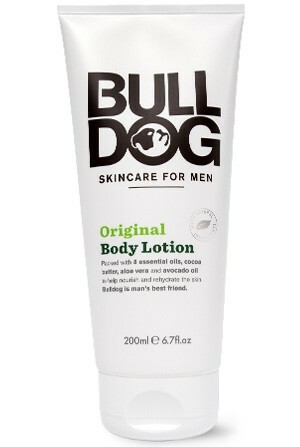 A host of brand new products are displayed and the Bulldog skincare for men range caught my attention. 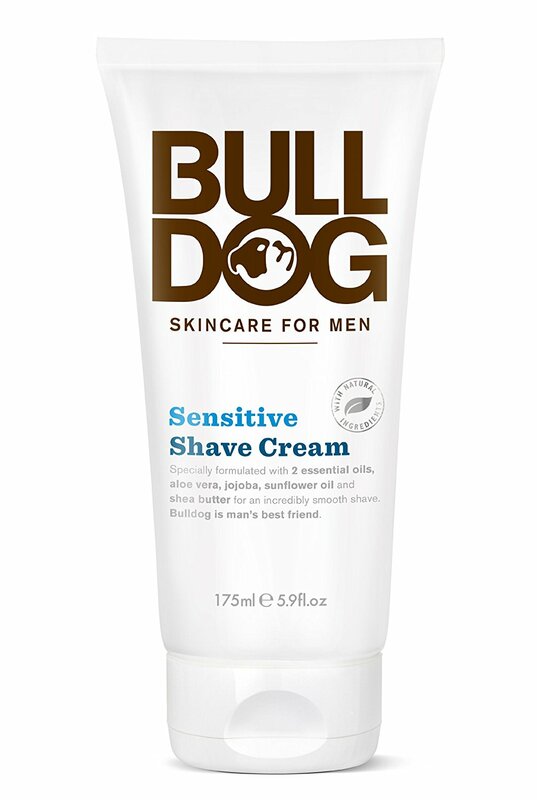 All of the Bulldog skincare for men products were designed to work simply and effectively while dealing with the specific issues faced by men's skin. Oiliness or dry skin, Bulldog have a product for you by harnessing natures ingredients combined with carefully selected man made ingredients. The skincare range they provide does not contain any parabens, SLS, artificial colors, synthetic fragrances or ingredients from animal sources, making the Bulldog brand suitable for vegans and vegetarians.You can also be reassured that Bulldog are against animal testing and by looking on each product you will see the leaping bunny logo which is certified by cruelty free international. Using morning and night, apply after cleansing to your face and neck. 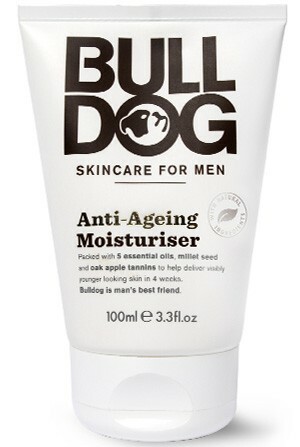 The Bulldog anti-ageing moisturiser is light in texture and glides over skin with ease, hydrating and smoothing the skin quickly on application. I really like how light the moisturiser feels on the skin, if you looking for a moisturiser that delivers on its promises without your skin feeling sticky or heavy, this is a great moisturiser to reach for when your in a rush or to apply after the gym. Packed with 5 essential oils, millet seed and oak apple tannins to help deliver visibly smoother and more nourished skin in 4 weeks. Specially formulated for sensitive skin with 2 essential oils, aloe vera, jojoba, sunflower oil and shea butter for a smooth shave. Wetting your face with warm water, apply the Bulldog sensitive shaving cream into your stubble and i would advise to wait at least 2 mintues for the cream to fully soften any troublesome stubble. Shaving is made easier thanks to the cream helping the razor glide over your skin easily and you will notice your face is left soft and smooth avoiding any razor burns or cuts. Aqua (Water), Stearic acid,Helianthus annuus (Sunflower) seed oil, Aloe barbadensis leaf juice, Glyceryl stearate, Coco-glucoside, Butyrospermum parkii (Shea butter), Glycerin, Sodium cocoyl glutamate, Cetearyl alcohol, Glycereth-26, Phenoxyethanol, Benzoic acid, Xanthan gum, Cedrus atlantica bark oil, Simmondsia chinensis (Jojoba) seed oil, Dehydroacetic acid, Mannan, Ethylhexylglycerin, Citric acid, Pogostemon cablin oil, Polyaminopropyl biguanide, Potassium sorbate. Featuring 8 essential oils, cocoa butter, aloe vera and avocaod oil to wrap skin in nourishing ingredients whilst providing hydration. Apply the Bulldog original body lotion to your whole body daily using massaging actions to make sure all your skin is covered. A slight fresh fragrance is detected but leaves skin instantly smooth whilst hydrated, a great body lotion to apply after showers or baths for when your in a rush as it absorbs really quickly. The key ingredients of borage, almond and camelina oils are rich in omega 3, 6 and 9 and are included to reduce dryness and leave the skin feeling moisturised, smooth and non-greasy. 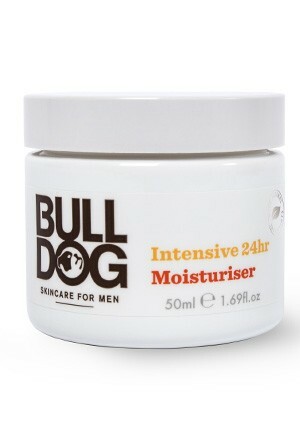 Apply the Bulldog intensive 24hr moisturiser to a cleansed skin whilst applying to the face and neck every morning and night. The moisturiser is thick and more richer in consistency which u expect when buying an intensive moisturiser to deliver thirsty dry skin relief and hydration. Skin is left smooth without feeling greasy creating a perfect base to apply your sunscreen over. Bulldog skincare offer an affordable range that caters for any skin type for men. Depending on what your looking for, you can quickly select a product for your skincare concern thanks to the straight forward detailing on each product. I was impressed on how quick the products absorb into the skin leaving the skin smooth, soft and supple. Bulldog products are easy to apply offering a non-complicated skincare for men range that u could introduce into your current skincare regime working in harmony with your other products. 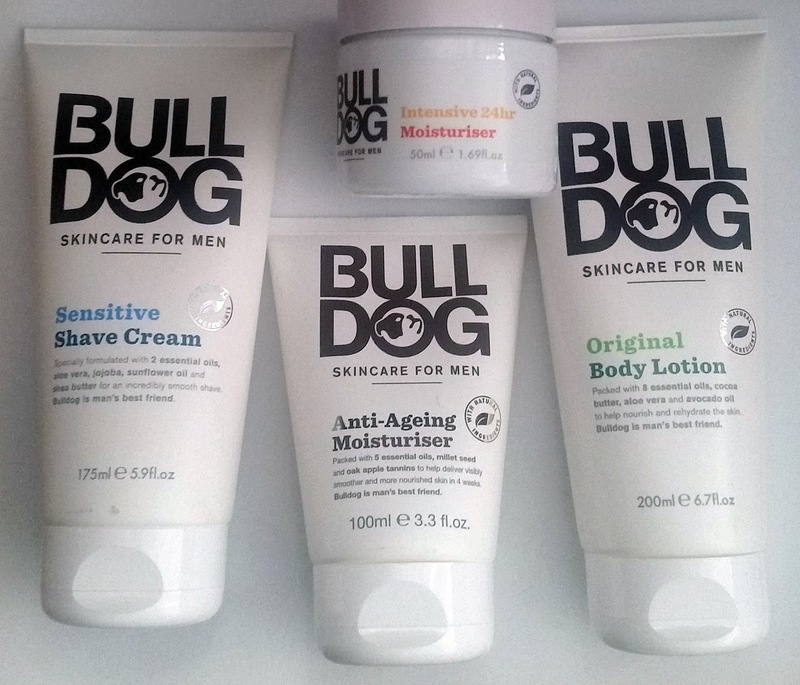 See the full Bulldog skincare for men range at MaleSkin. X Neil.